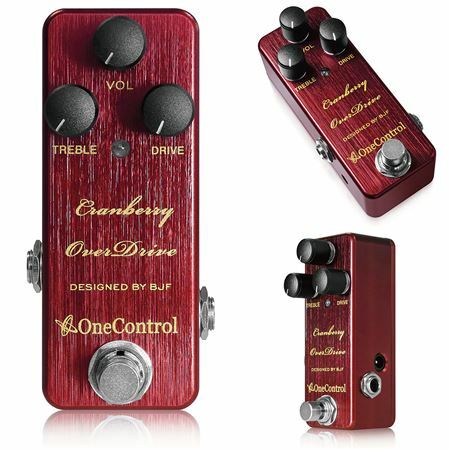 Shop One Control Cranberry Overdrive Pedal from AMS with 0% Interest Payment Plans and Free Shipping. The Cranberry Overdrive inherits the characteristics of the original STRAWBERRY-RED overdrive however; a low cut trim pot has been installed. 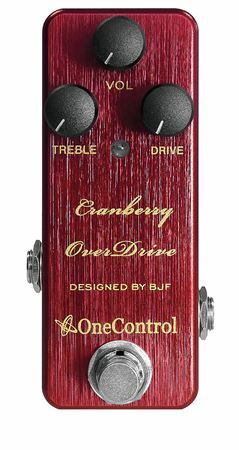 Although both pedals can achieve the same level of boost, the Cranberry is perfect for clean/light distortion effect. With moderate compression and fast response, this pedal promises a superb lead boost for any genre of music. Drive: Sets the gain and distortion of the circuit.